We have bundled together our popular products into handy winter kits. 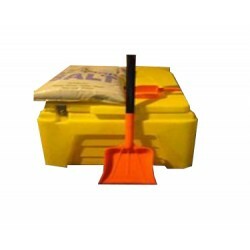 Everything you need for winter maintenance, including de-icing salt, salt bins, snow shovels and snow scoops. De-icing salt is a must during winter months to help thaw ice and snow to keep your pathways safe and accessible. Sometimes a bag or two will do, however a larger area will need gritted many time throughout the season. 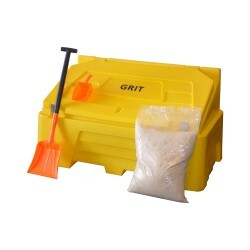 We recommend storing your salt in one of our grit bins as they provide a safe, durable environment for your salt and also give you easy access to your supply when you need it. 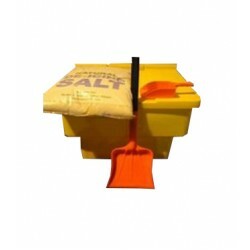 All winter maintenance kits from Salt and Grit Solutions Ltd contain a small scoop for handling and spreading your salt along with a great quality snow shovel to help clear your roads of snow and ice. We have different winter kit sizes available to suit your requirements.